The History of Hi-Tech Signs goes all the way back to 1984. 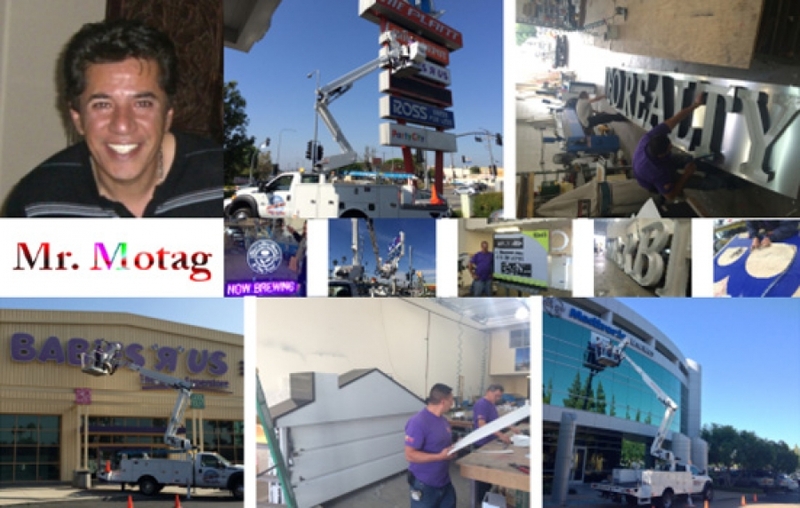 Mr. Edward Motag the Founder and current President of Hi-Tech Signs, started his business in a very small shop in San Fernando Valley California. Now after nearly 30 years, the Hi-Tech Signs family includes some of the most skilled designers, manufacturing specialists, installers, project managers and support staff in the business. Here at Hi-Tech Signs, we handle every conceivable manner of sign for Any Size Firm , Nationwide. Our expertise also includes a full range of Signs & Large Format Print Service and Sign Maintenance Programs. Hi-Tech Signs In L.A. is extremely proactive in its strategic plans by investing time and resources into developing products and services that bring value to our current customers and potential clients. We are one of the first sign companies to offer one stop, toll-free, on-demand services. A significant advantage that Hi-Tech Signs In L.A. has to offer over its competition is experience. We are unmatched by any other company when it comes to the extensive successful experience in managing expansion and conversion programs. What also makes us unique is our emphasis on effective, proactive project management. More than any other sign firm, Hi-Tech Signs In L.A. understands the importance of using our experience and expertise to maximize efficiency and minimize difficulties for our customers.